A look from Amanda Grisham, winner of the 2011 young designer competition. FashioNXT (formerly Portland Fashion Week) returns in October with their emerging designer competition. 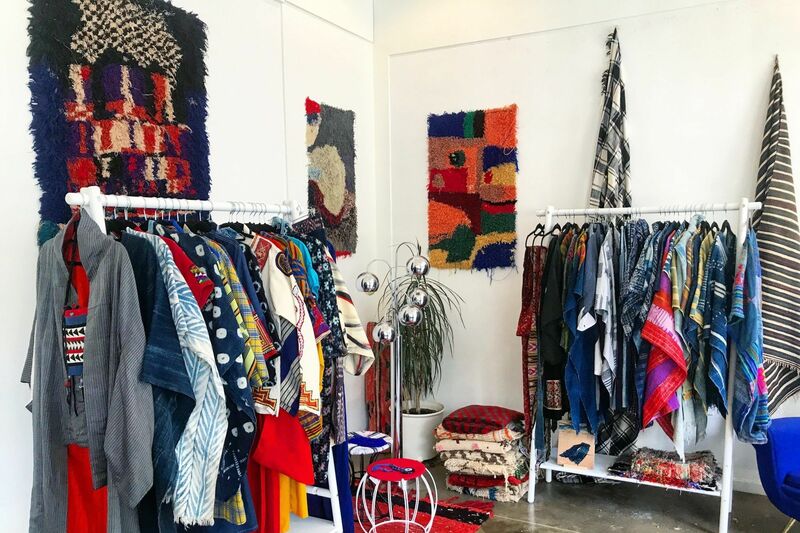 The long time competition has been a spring board for familiar names like Amanda Grisham and her Pendleton clad ladies and most recent Project Runway winner Michelle Lesniak. Designers interested in the FashioNXT-Up/NXT competition are required to appear at an audition on August 18 for the Oct 10 runway show competition. The designers chosen to show Oct 10 will have their collections shown on the fashion runway to a packed house. From that competition we (yes we, I am on the judging panel for another year) will select one to emerge as the designer who is "next." “Portland has strongly established itself as the most fertile hotbed of emerging talents in fashion industry” says Michelle Lesniak, winner of Season 11 of Project Runway, where winners of four of the eleven seasons are from Portland area. Lesniak herself was a contestant of the competition in 2011. "I applaud the production’s success to continue to be the platform where emerging designers get ready for bigger national platform” she continued. “Our long experience in catapulting emerging designers to get national press and prominent accounts enabled us to identify the critical needs for the emerging designers to boost their business to next level”, says Tito Chowdhury, Executive Producer of FashioNXT, whose leadership to boost Portland’s fashion industry got recognized in TIME Magazine and Wall Street Journal, as well as Portland’s highest Mayoral Award, “The selection criteria and the prize package is meticulously designed to include items that address many of those”. Whom: Ready To Wear and Couture apparel designers only. Designer Qualifications: Ready to Wear or Couture Designers. Annual revenue below 50,000. Presentation at the Audition: Bring a representative number of fully constructed garments for the judging panel. You may include samples from past collections. It is not required, but if you wish to bring one live model for your audition, you may do so. 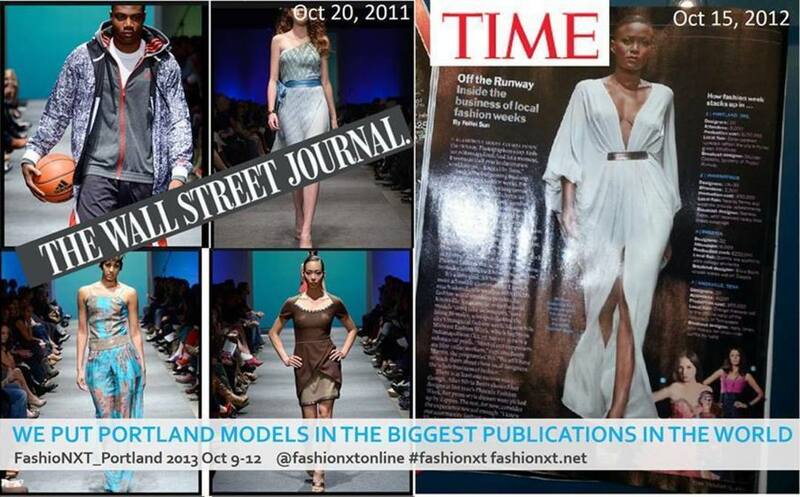 Judges will select the finalists to show on the runway at Fashionxt_Portland 2013. Collection on Fashionxt_Portland 2013 Runway: Designer selected for showing on the runway need to present a cohesive collection of 8 head-to-toe looks. Judges may give each finalist three design challenges to include in the runway looks. The collection will be judged for look at the quality & aesthetics, creativity/originality, cohesiveness of collection, and marketability. Fee: there is a $35 entry fee (non-refundable, payable by cash/check at the audition) for entering the competition. If you are selected to show on the runway, it will be counted towards the show-production fee of $350. Interested contestants are asked to secure their time-spot by sending email to FashioNXT by Aug 15 To designers@fashionxt.net. Promotional piece from FashioNXT highlighting some impressive press.